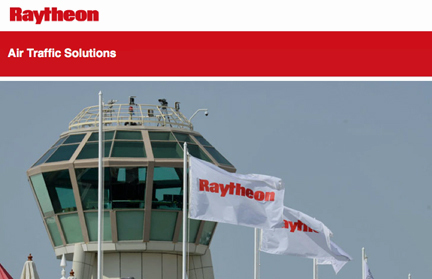 [SatNews] Raytheon Company (NYSE: RTN) has announced that the Federal Aviation Administration (FAA) has awarded the company a $131 million contract for Wide Area Augmentation System (WAAS) Dual Frequency Operations (DFO) Segment 1. Under this contract, Raytheon will enhance overall system capability as the FAA moves toward a dual frequency system. WAAS is the United States' Satellite-Based Augmentation System designed to promote air traffic safety. In continuous operation since 2003, the WAAS signal augments standard Global Positioning System (GPS) with accuracy and integrity enhancements to meet stringent air navigation performance and safety requirements for en route, terminal, non-precision approach, and highly precise approaches that utilize vertical guidance. The reliable signal enables the FAA to consider reductions in the aging ground-based navigation network which could result in significant cost savings. "Continuing to enhance the WAAS system is an important step for the National Air Space," said Robert Delorge, vice president, Raytheon C4I Systems. "We will continue our partnership with the FAA to ensure continuous operations of the system going forward." Raytheon was the original development contractor for WAAS and has continued working with the FAA on WAAS improvements since it was certified for NAS in 2003. Raytheon is also the prime contractor for the WAAS GEO Service Lease program.